How much do you know about the region you live in? Now you have the opportunity to get a deeper knowledge and we are so lucky because this guided exhibition can be enjoyed only on that day.. 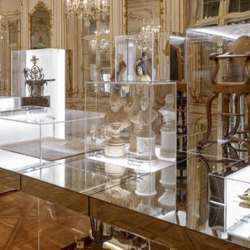 In the historical rooms on the second floor of the Palais Herberstein, an exhibition is on show on the cultural history of Styria from the High Middle Ages onwards shedding light on history and society from a variety of angles. This exhibition format is aimed at all those wishing to gain an overview of the area’s history in a short time and is a guided tour curated by Bettina Habsburg-Lothringen. I am looking forward spending Sunday together with you!